The journey is the product. At PLAY we spend a great deal of time thinking about the customer journey. In fact, it’s impossible to design an incredible experience without thinking about how people will interact with it from beginning to end and from every angle. Because customer journeys are different for every brand and category they come in many shapes and sizes and cover enormously different ground. The reason they are so important is that at PLAY we believe that successful companies don’t sell products, or even services. Rather, we believe the journey is the product. What does that mean? Well, no matter what we are selling, it is only part of something much bigger. The customer wants an end-to-end solution, and the purchased item is just the cherry on the top of a delicious multi-layered cake. ‘Product’ today means a seamless, customised, contextualised shopping experience that caters to customers’ needs and behaviours in real time, in the real world. When we approach a brief at PLAY, we start by mapping the customer journey to answer two questions – what is it today, and what could it be tomorrow? Expanding the difference between these answers is where we believe businesses will find the greatest success. There may be no better example of this than a business close to PLAY’s heart: Domino’s. 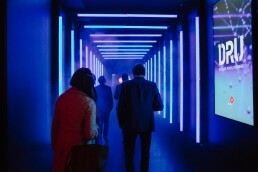 We have been lucky enough to produce their ‘Abacus’ events over the last year where they showcase their latest technological innovations to the media. At first glance, a pizza company promoting technology seems a bit odd – but that’s only if you think of them as a pizza company. 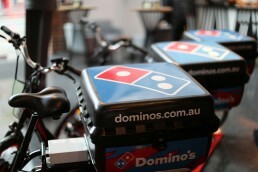 Ask Domino’s what business they are in and they will tell you they’re in the tech business. The reason they are such a ground-breaking organisation is that they have considered the entire experience of enjoying a pizza, from ordering to preparation to delivery, and everything in-between. Their essential product – the food and drink you actually consume – is only a small part of this total equation. Really, their offer is the entire interaction of countless people, services and elements that all culminate when the first slice gets in your hands. Fundamentally, there are three key moments in any story corresponding to the classic trilogy of communications effectiveness – before, during and after. How does someone discover us, what happens when they connect with us and where do we go at the end? Domino’s has realised that growth comes from addressing the before and after, as much as the ‘during’ moment – finding smart ways to get fresher, hotter food to people quicker and more easily than ever. They have focussed on technology as the way to improve this. At PLAY we apply the same philosophy to help brands create richer, more fulfilling customer journeys. 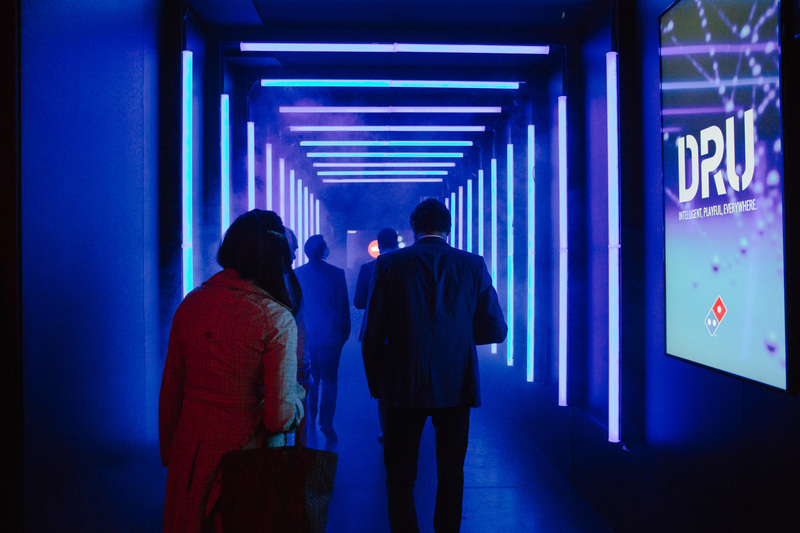 Customer journeys matter specifically because they take the uncertainty out of marketing and inject a bit of rigour into what is a chaotic world where hyper-connected consumer expect instant-gratification at every touchpoint. Done well, these can lead customers proactively, rather than waiting and hoping they will find us and follow us. that’s as easy as ordering a pizza, click here.